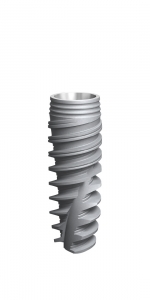 For most people, dental implants are the best solution to replace missing teeth. However, patients who lack sufficient bone volume may have been discouraged to perform implants or told they need to undergo bone grafting procedure prior to placing dental implants. This has now changed with the All-on-4® technique as the majority of patients can receive a beautiful set of new teeth in a single visit. All-on-4® treatment concept is a revolutionary approach which allows total oral rehabilitation of patients with the placement of only 4 titanium implants in each jaw, through a quick and minimally invasive procedure. 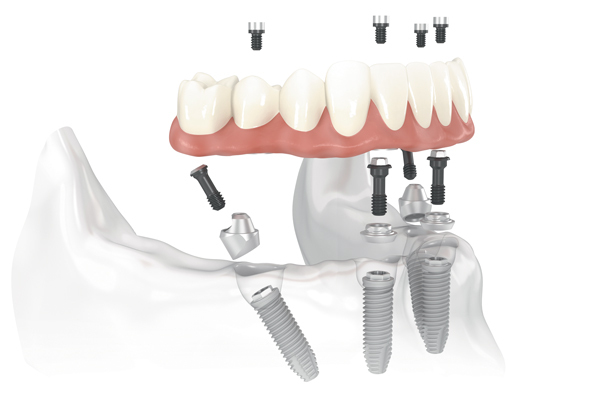 The Implants act as a foundation, which allows the placement of a fixed bridge. This technique stabilizes bone levels, keeping the jaws healthy. By tilting the two posterior implants, the All-on-4® treatment concept allows even those patients with virtually no bone to have fixed teeth without need of bone grafting. The result is a fixed (non-removable) natural looking dentition, indistinguishable from natural teeth. For more info about All-on-4® treatment concept and dental implants please call us today!